If you’ve decided that it’s time to replace your old refrigerator, you’re in for a few surprises. The average life of a fridge is around 12 years, and in the decade or so since you last looked at a new one, performance, design, and prices have all changed. If you want to get the best fridge at the best price, you need to quickly become familiar with the market, figure out what you need, and learn how to spot a deal. Refrigerators come in many different shapes and sizes to fit most budgets and most kitchens. Modern appliances come with a long list of available features, and while some may be very valuable to you, others will be almost worthless. You may decide to put your new refrigerator in a new spot in your kitchen, or you might just use the same space. Either way, you’ll need to take measurements to deduce whether you have room for a bigger fridge, or if you should take advantage of a compact model. Measure the height, depth, and width, and take note of the free space available for opening the doors. Additionally, record the door and hallway clearance space so you can plan for delivery. Are you single, a couple, or a family of five? Do you eat out a lot or frequently cater to large groups of guests? These are the kinds of factors that play into settling on the refrigerator you need. Think about your history with your current appliance and make a list of pros and cons. 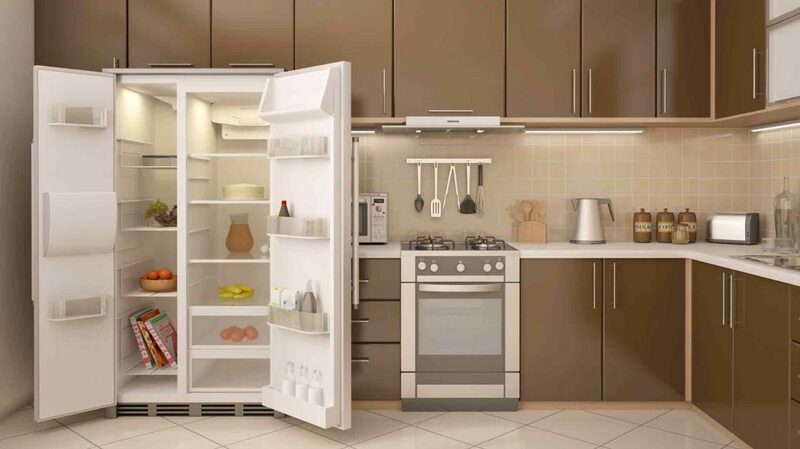 If you’ve frequently struggled with an over-stuffed freezer or have difficulty finding what you are looking for, you’ll want your new refrigerator to solve these problems. Maybe you’ve been wanting an ice and cold-water dispenser or a stainless steel finish. You’re probably going to keep this appliance for at least 10 years, so get the features you’re going to enjoy. Make a list of the extra options you want, and rank them in order of importance. Review your rankings and remember that there’s going to be an extra cost associated with each one. The good news is that since you’ll have this appliance for a long time, you can justify a few splurges in the name of simple pleasures and worthwhile convenience. Rather than settling on a fixed amount, come up with a comfortable price range. The most important number here is the highest one, as you never want to go over your ceiling. Be sure to factor in durability, performance, and energy efficiency when determining your long-term outlook on costs. There was a time when refrigeration was little more than a box and a block of ice. Thankfully, technology has progressed. Options abound, and designs and features that used to be luxurious now seem like basic necessities. 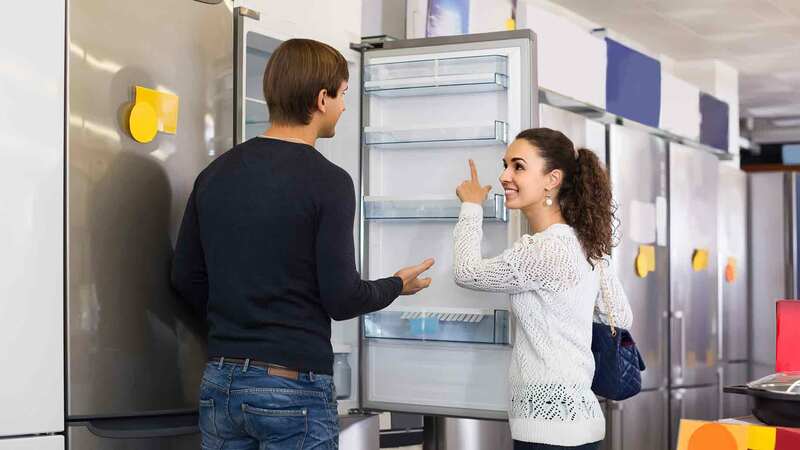 You will need to consider the five main types of refrigerators on the market, as well as the main brands and features available. This is the design that most of us grew up with, now modernized to perform on a higher level. The classic look offers wide clearance for things like pizza boxes or cookie sheets, and a high rate of useable space. The main detractors are that the crisper and veggie storage are often very low, while the freezer portion may be difficult for kids or shorter adults to reach, or even see. But if you don’t mind bending down from time to time to grab a tomato and have a step-stool handy for the kids, the top-freezer design is the most cost-effective option, leaving room in the budget for the stainless steel upgrade that may be at the top of your wish list. Though it doesn’t have the history of the top-freezer design, the most popular design is currently the bottom-freezer refrigerator. This design has the desirable trait of allowing you to look upon your most commonly utilized items at eye-level. Yes, you do have to stoop for frozen items, but most people find it a worthwhile trade-off for making your fresh-food storage more accessible. Because of the demand of this style – which skews slightly higher in price than the top-freezer model – more options are becoming available, from French doors to in-door ice and cold water dispensers. Just because this is the hot style now doesn’t mean you can’t score a deal on a new bottom-freezer refrigerator. With high production and an active marketplace, this just might be the best place to find a sale or closeout opportunity. The side-by-side model design splits the freezer and fresh-food compartment vertically, allowing the unit to fit into tight places, especially if you don’t have a lot of room for door clearance. This convenient design is still visually appealing and commonly includes features including in-door ice-makers and temperature-controlled bins. Some, on the high-end, even include small TV screens! The biggest downside is the difficulty you’ll find in storing wider items, especially on the freezer side. With narrower shelves, you’ll have some trouble locating and, more importantly, extracting items. Built-in refrigerators are the top option for those who need customization to fit space requirements, personal needs, remodeled kitchens, or a particular interior design aesthetic. With a built-in you get a perfect fit, super-sleek look, and high quality. However, you also get a very high price tag. Shopping for a built-in fridge is a different ballgame, and with the high prices comes a little more room to negotiate or catch a deal on delivery and installation. Additionally, when you consider your budget and the cost of a built-in, remember that built-ins often last longer, feature optimal performance (keeping food fresher longer), may help you save energy at home, and can boost the value of your home. Beyond the four primary categories, you’ll also find cabinet-depth refrigerators and refrigerator drawers. Cabinet-depth fridges utilize a shallower design that mimics the look of built-ins at a lower price. They come with a variety of functional and superficial options, but offer less space than less expensive standard-size models. Refrigerator drawers are a neat option if you’re looking for even more room to keep your food fresh, or if you simply enjoy the idea of having items closer at hand. You can install them anywhere in your kitchen, such as beneath counters or into islands. These smaller units are costly and proportionally less energy-efficient. Brand recognition plays a role in research and shopping, especially with large appliances like refrigerators. While your family may have previously owned only GE products, you would be doing yourself a disservice by not at least considering a newer label with a fine reputation, such as Electrolux. By familiarizing yourself with the primary refrigerator manufacturers, you’ll gain valuable insight. LG, for example, is a brand that excels in the bottom-freezer market, while the less recognizable Amana is an economical line produced by Whirlpool. Refrigerators run continuously, so they use more electricity than all other kitchen appliances. They don’t sit idle, like a dishwasher, and you can’t unplug them, like a toaster. Energy efficiency, therefore, goes a long way. An Energy Star rating means that the appliance will run at least 20% more efficiently than government standards. That performance represents some serious savings over the years. There’s nothing worse than wasting food. It wastes money and resources, and it just doesn’t feel right. Options that keep food fresher longer and protect the interior from bacteria and mold mean as much to your food budget as it does to your family’s health and safety. Shelves and bins that slide out make your daily life in the kitchen so much easier. Ending the ritual of sticking your head into the freezer to find a long-lost roast is appealing. Like many Americans, I love the sleek, clean look of a stainless-steel finish on my kitchen appliances. If you’re on a tight budget, you can explore the less expensive “faux steel” options that look similar to the real thing. Eliminate the expense and endless waste of plastic water bottles by purchasing a refrigerator with a built-in filter. The water you cook with and drink will taste better and contain substantially less chlorine, heavy metals, and other harmful agents. Perhaps the biggest change since the last time you researched refrigerators is how we as a society shop. While the occasional mom and pop store still survives, huge discount centers and the Internet have changed everything. The first step toward saving is to leave yourself enough time to research and do comparison shopping. Be aware of your current refrigerator’s age, and approximate when you’ll need to replace it. By being prepared, you can avoid the costly situation where desperation supersedes savings. Use the Internet to get a sense of the market. In just a few minutes you can view countless models of fridges and get a good idea of what you want, as well as what’s available. Some sites will even do the bargain hunting for you, listing the best refrigerator sales all in one place. The major appliance stores carry a wide variety of refrigerators that you can examine in a single visit. Don’t hesitate to use a big store for a purely exploratory trip. There’s nothing like taking a hands-on approach in assessing the desirability and quality of a product, even if you’re still planning to buy elsewhere. 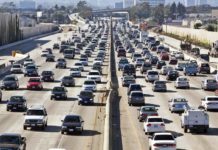 Manufacturers typically roll out their new models at the beginning of summer, so late spring is usually the best time to score a great price at a clearance sale. 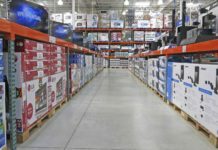 Holiday weekends are also good, with President’s Day and Black Friday refrigerator deals being notoriously worthwhile as the best times to buy large appliances. You won’t have to shop for a new refrigerator very often, but the choice you make will affect you nearly every day. By planning carefully and evaluating what’s most important to you, you can find the appliance that’s right for you at a great price. 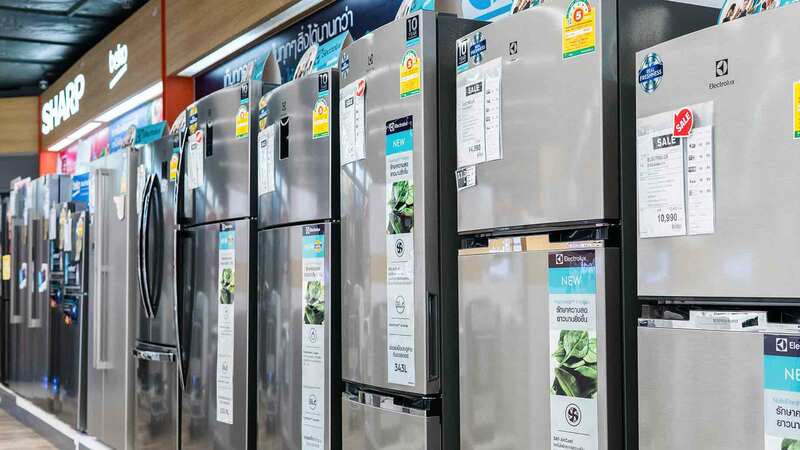 Refrigerator shopping is all about finding a model that fits your kitchen, supports your daily routine, and saves you money on utilities, all while keeping your food fresh for as long as possible. If your new refrigerator happens to have a built-in entertainment center, rapid-freeze ice-maker, and mahogany paneling, that’s just an added bonus! What features do you look for in a brand new refrigerator? What are your best ways to save?